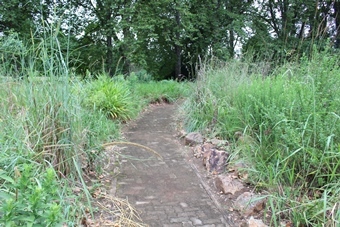 This garden was developed to educate the public about grassland ecosystems, and it is being used by the Education Centre for this purpose. 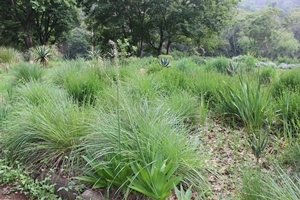 It is known as the “people’s garden” because of the profound relationship between grassland plants and people. harsh winter conditions. Most of them die back in winter and resprout from underground structures in the new growing season. Amazingly enough, one would think that grasslands would weigh very low on the biomass scale when compared to other biomes, e.g. forest biome. But they weigh in very high, and their biomass is mostly found below the soil surface (mainly made of earthworms). vernonias, senecios, helichrysums and various bulbs form lovely colourful displays. 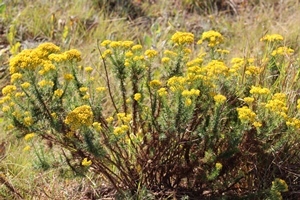 Some species found in this section are very rare and some have limited distribution countrywide. Take a glance and discover the hidden treasures of this grassland, and be amazed by the herbaceous layer with its beautiful flowers. 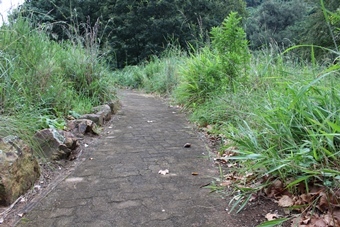 This garden has been paved to allow ease of movement for visitors on wheelchairs. 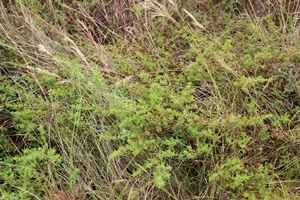 Fire is used to enable most of the grassland species to regenerate; this also helps keep the grassland free of alien plants. 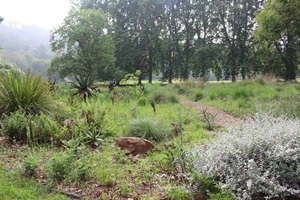 This grassland bed hosts a variety of medicinal plants that are used in some African cultures to cure various diseases. The process of introducing medicinal plants in this section is unending as our horticulturists keep discovering new plants to be added to this section to promote diversity. Since the aim of this garden is to mimic a grassland biome, the garden continuously conducts surveys to identify small creatures that are found on this bed and makes assessments of which creatures need to be introduced to complete the ecosystem.